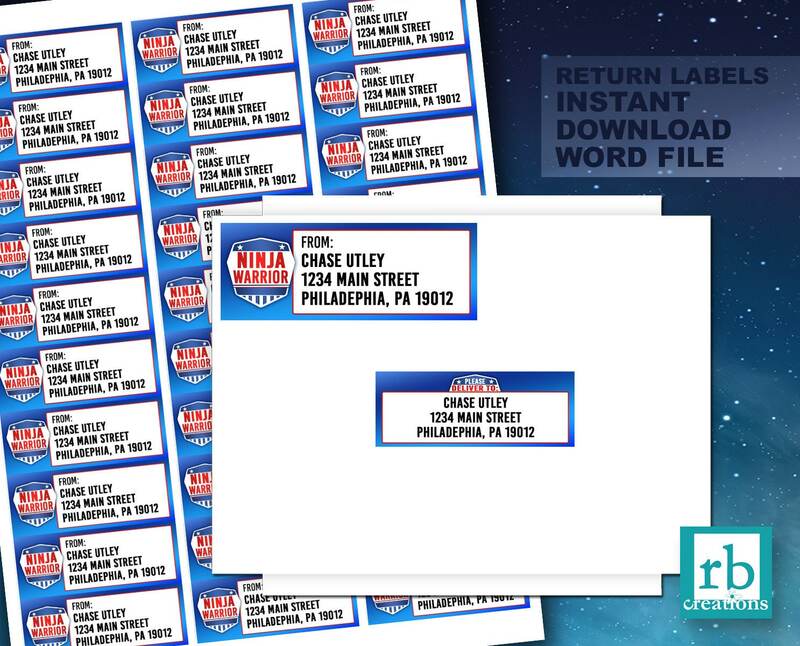 This package consists of themed birthday party Return labels 1x2.65" in size. Your order is an instant downloadable digital file that you can print yourself at home or take to a local store - these can be printed out at places like Walmart, Target, CVS etc., or on a label stock at Staples, Kinkos, etc. THESE ARE INSTANT DOWNLOAD FILES: Once your payment is confirmed, you will receive an email with your download link. There will also be a link attached to your order invoice page online. There are two downloadable files attached to this listing. Both Word files. One can be printed blank and addresses hand written in. The other addresses typed in Word then printed. The stickers are provided in Microsoft Word .DOC format, pre-formatted for printing on sticker sheets. They are sized to be printed on the following Avery products: 15160, 15510, 15660, 16460, 18160, 18260, 18660, 28660, 32660, 38260, 45160, 48160, 48260, 48360, 48460, 48860, 48960, 5160, 5260, 55160, 5520, 55260, 55360, 5620, 5630, 5660, 5810, 58160, 58260, 58660, 5960, 6240, 6241, 6970, 75160, 8160, 8250, 8460, 85560, 8620, 8660, 8810, 88560, 8860, 8920, 80509, 8215, 95915, 22837.